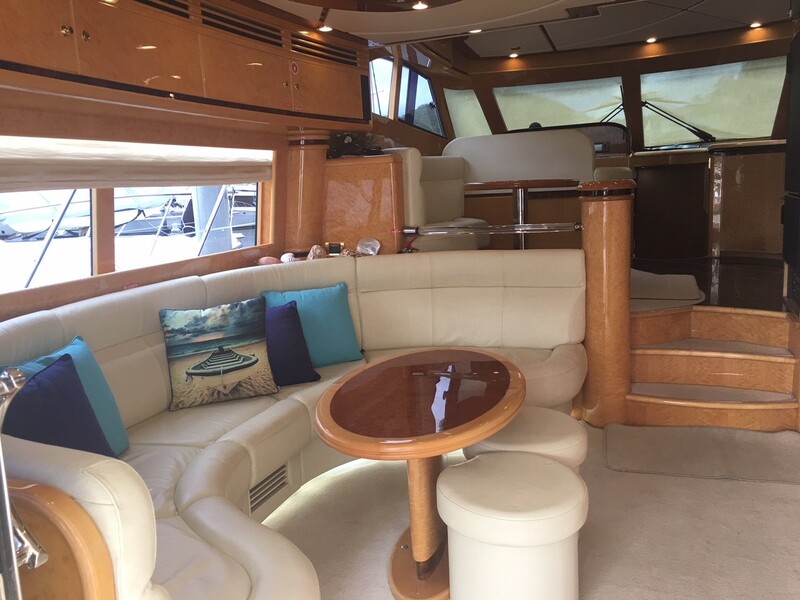 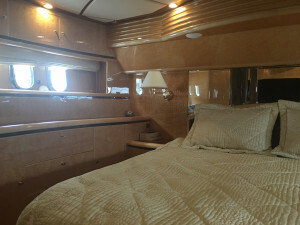 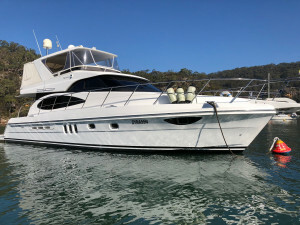 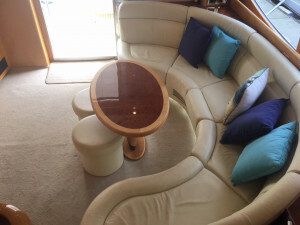 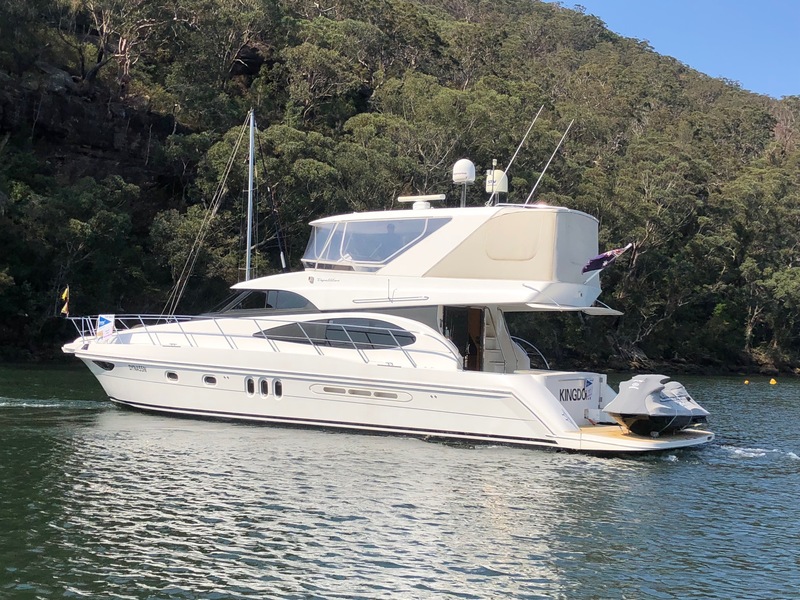 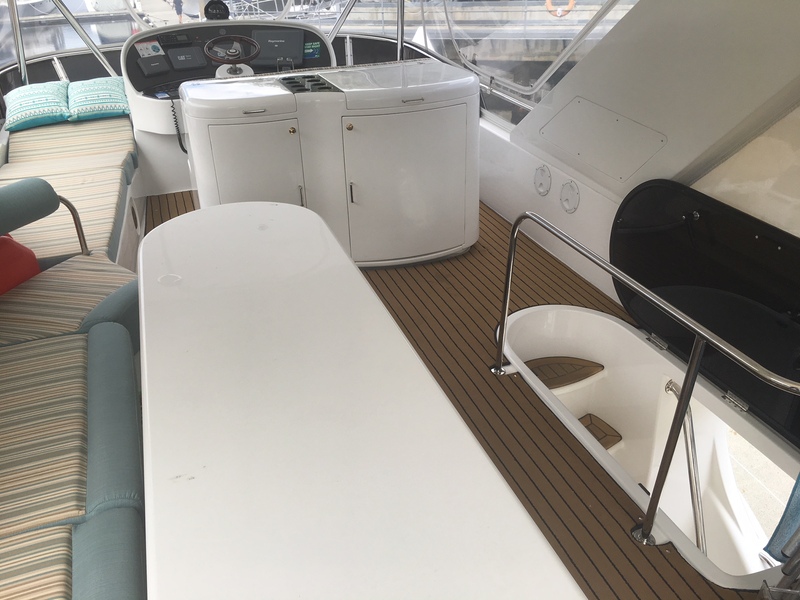 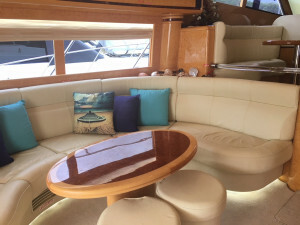 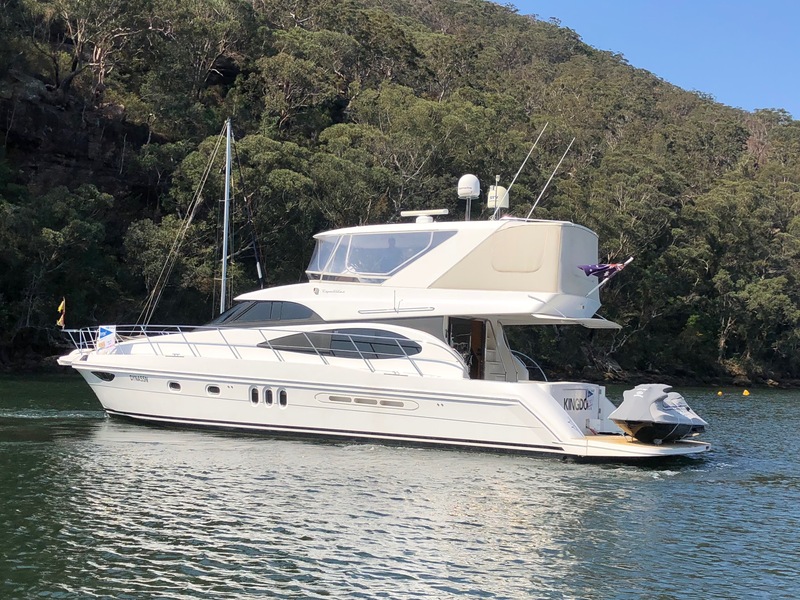 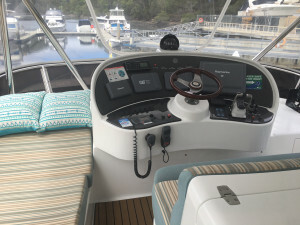 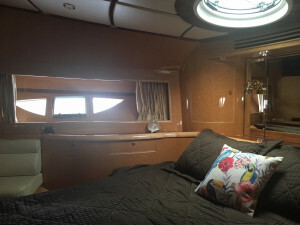 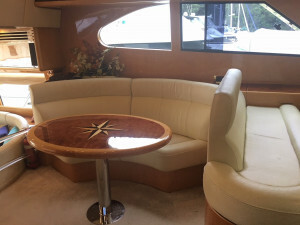 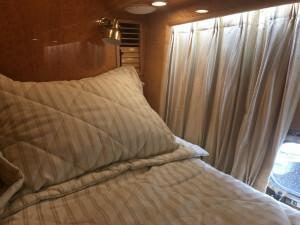 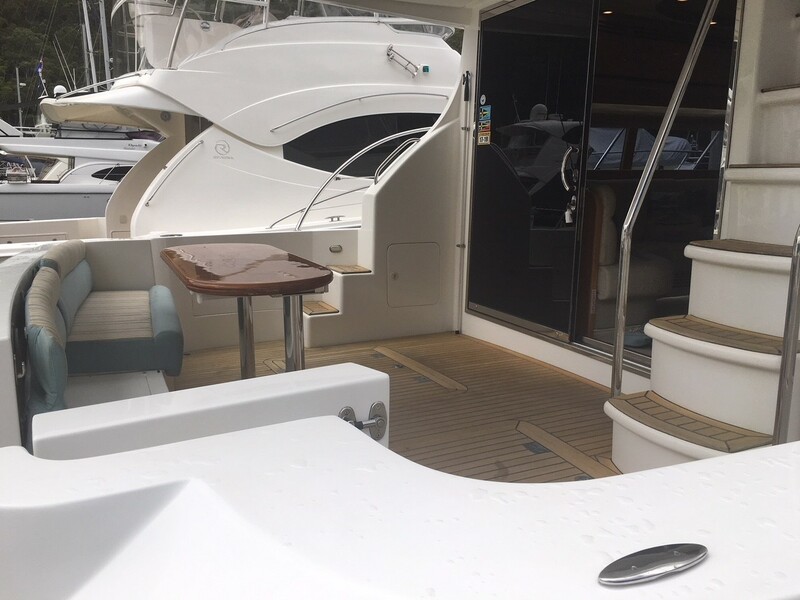 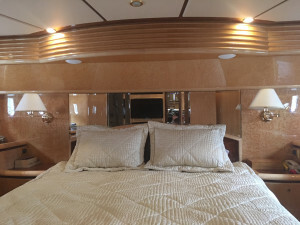 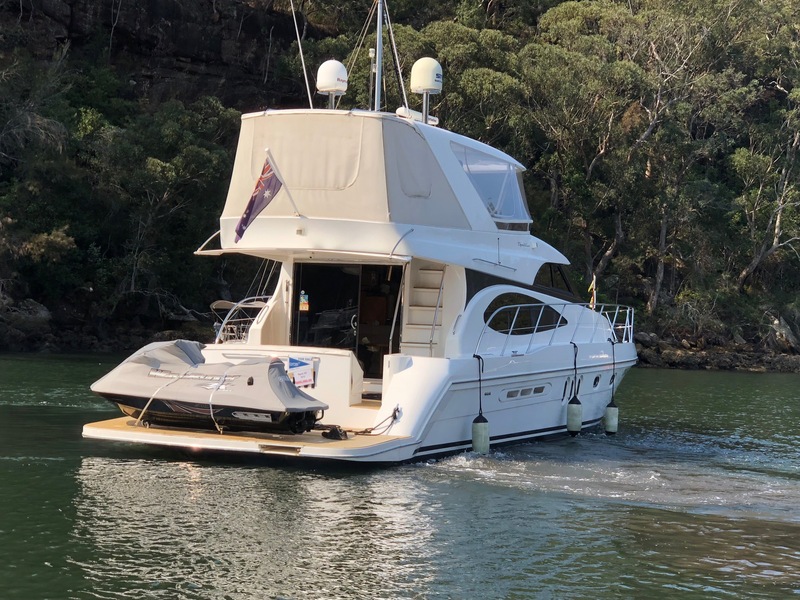 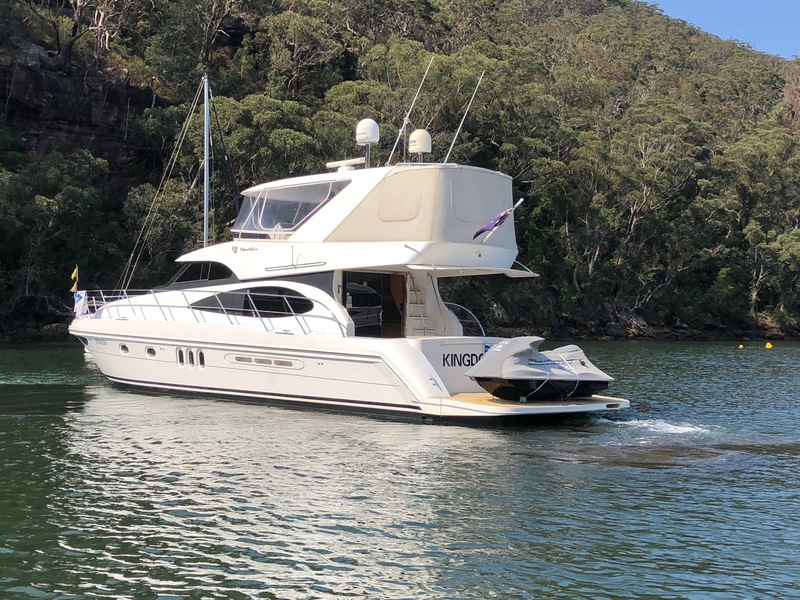 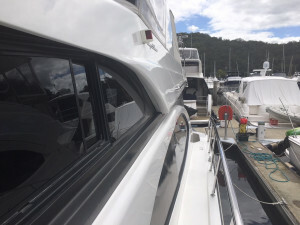 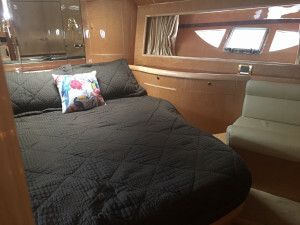 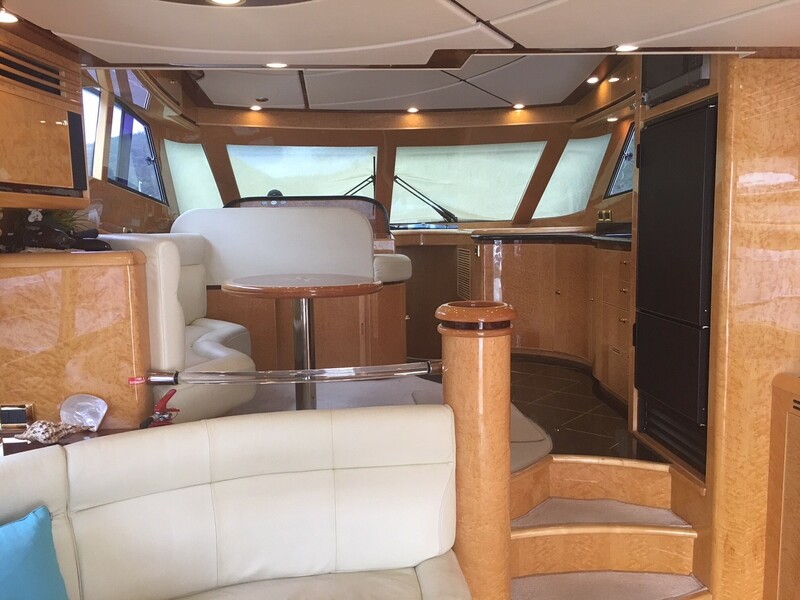 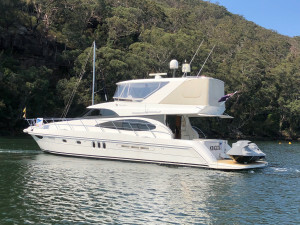 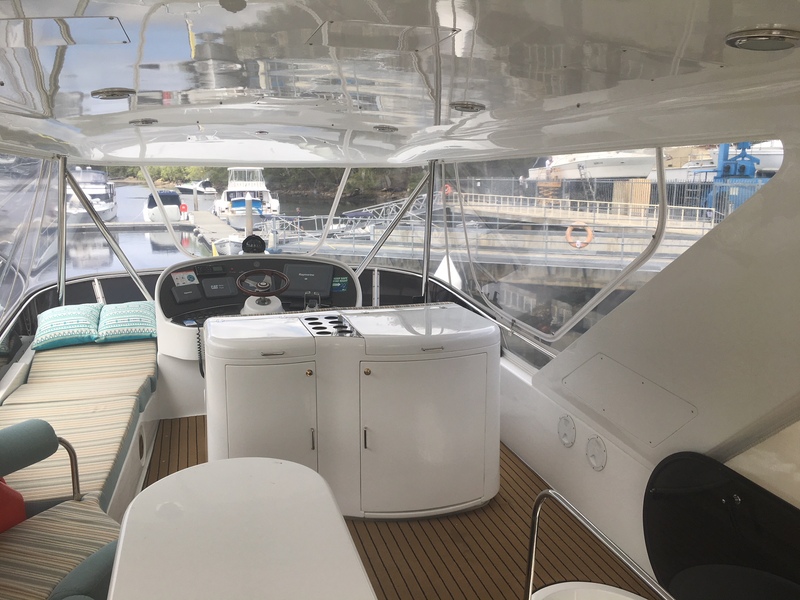 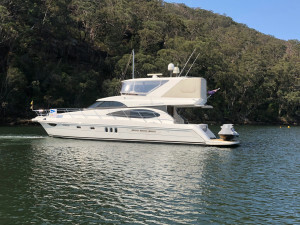 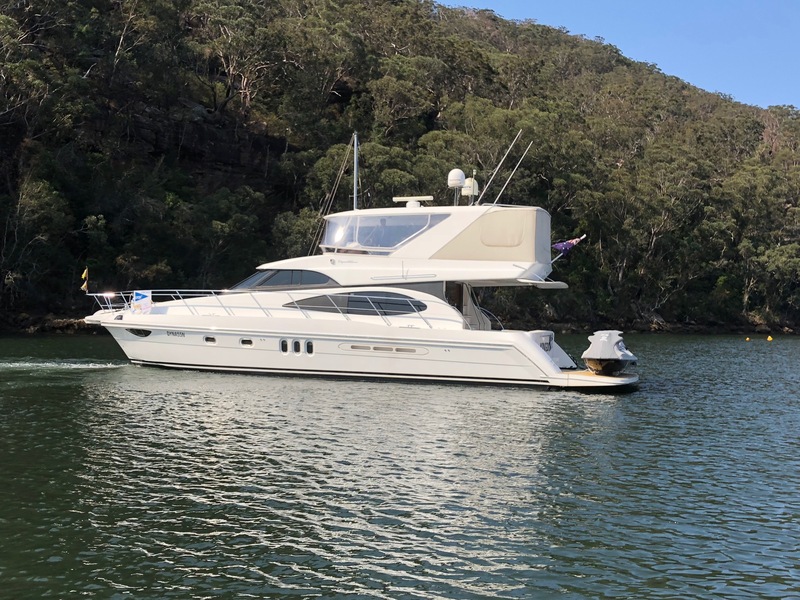 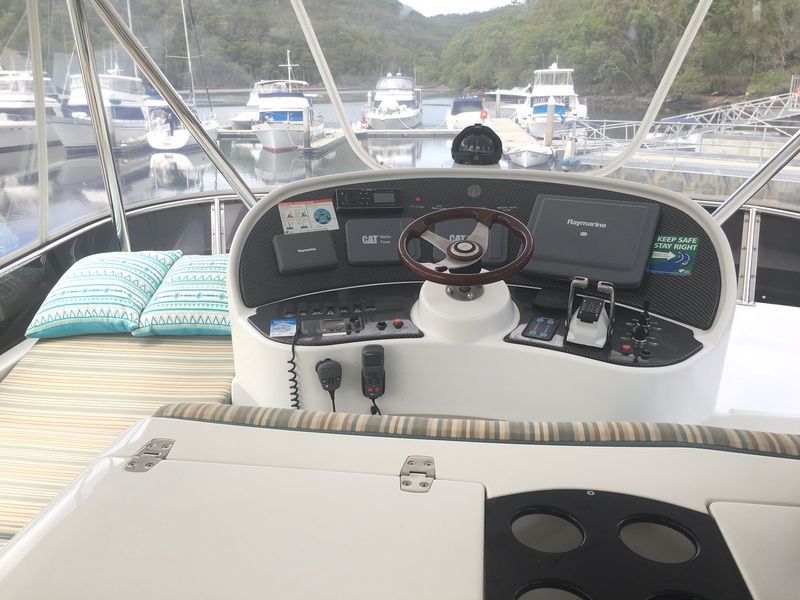 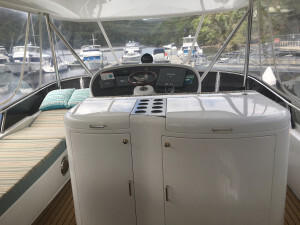 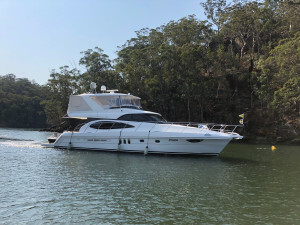 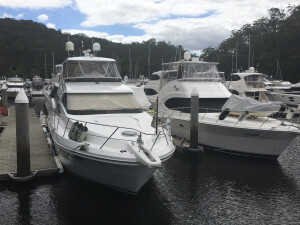 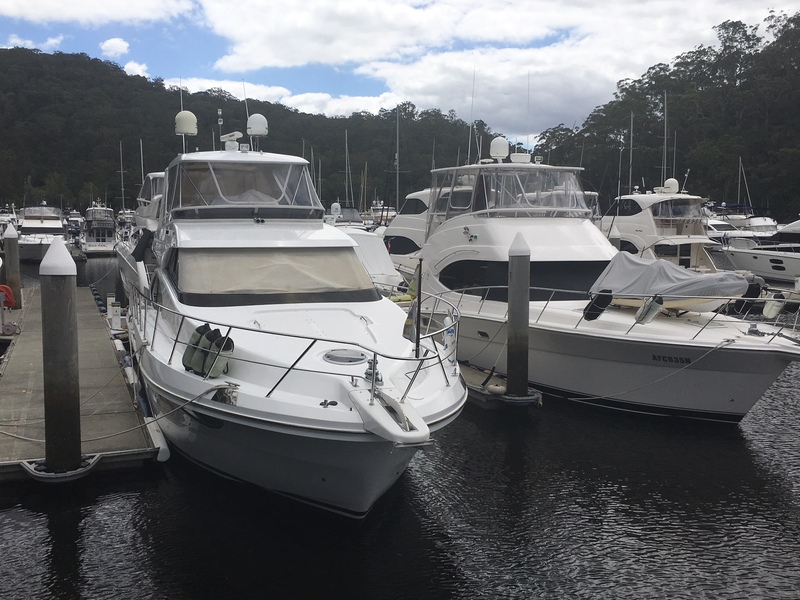 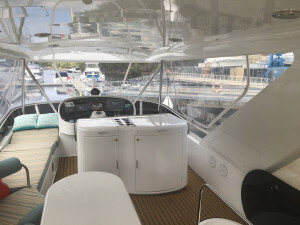 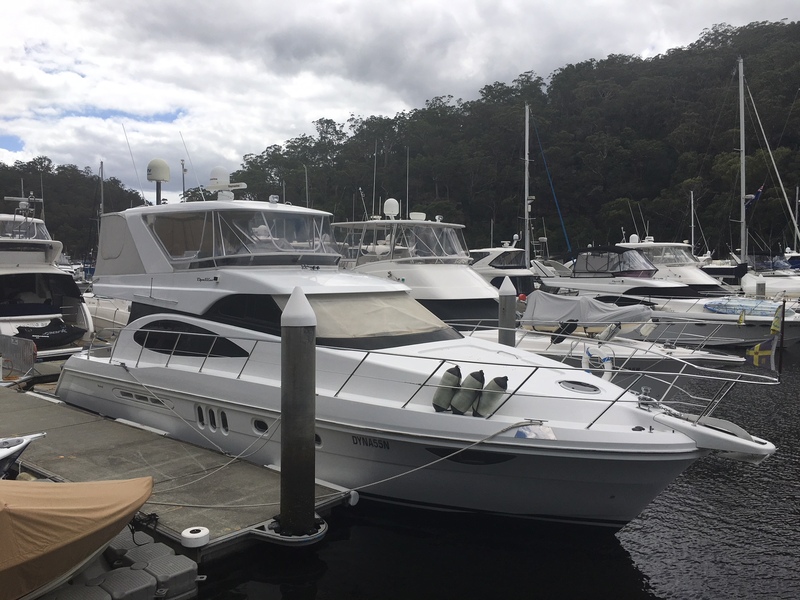 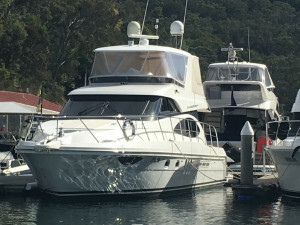 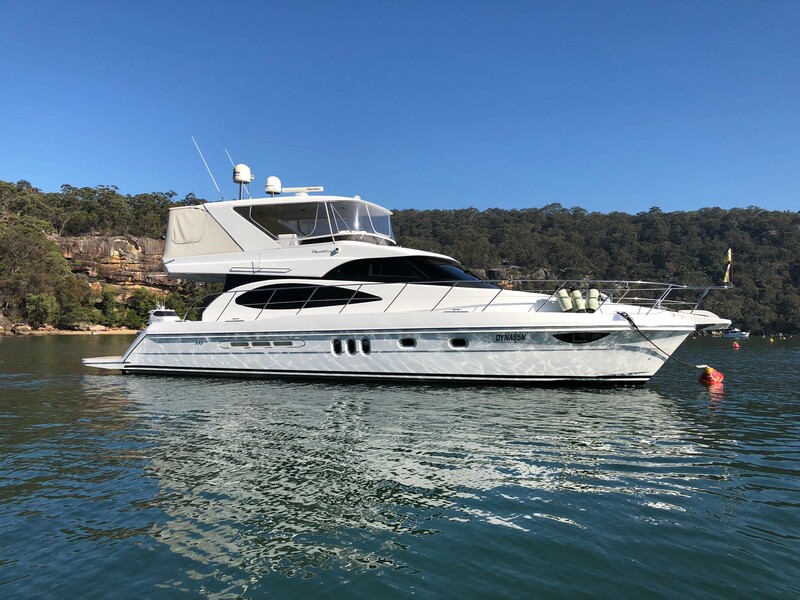 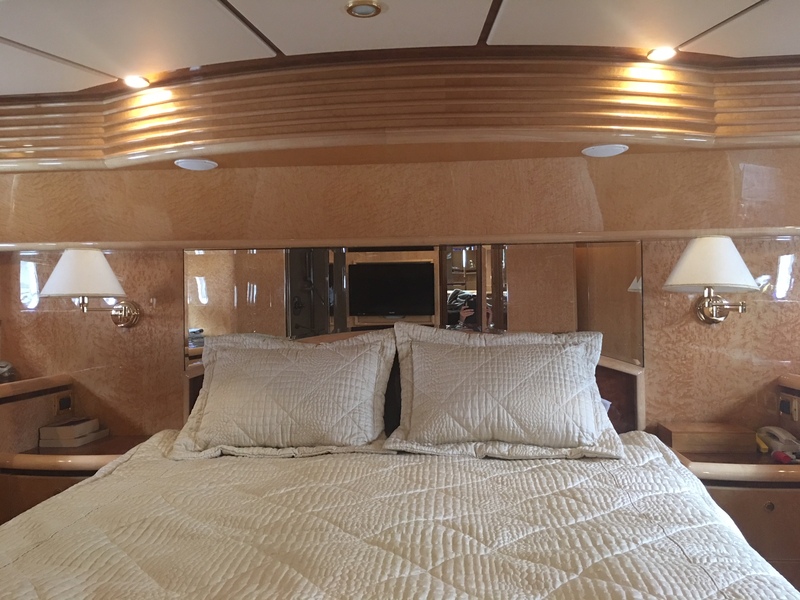 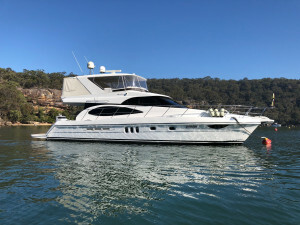 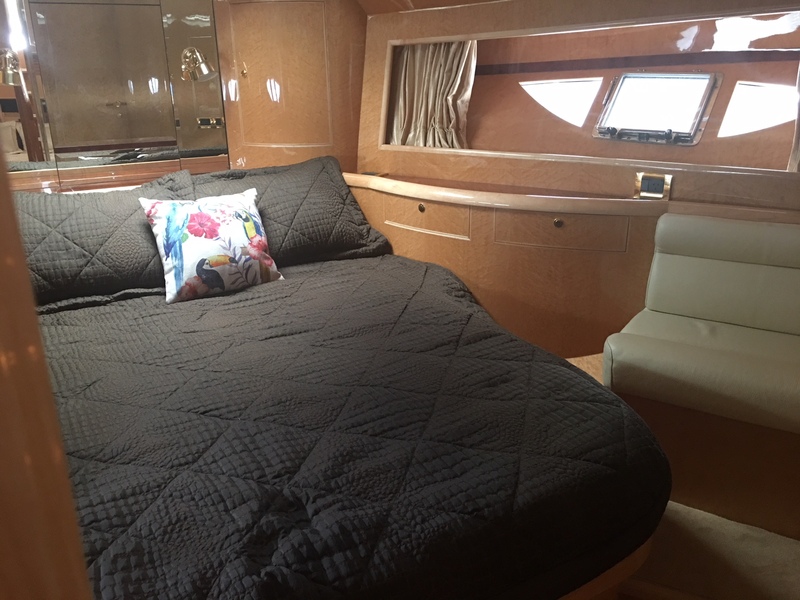 2012 Dyna 55 - Beautifully presented luxury flybridge cruiser, timberwork throughout the interior, 2 staterooms & 1 double bunk cabin, 2 bathrooms, leather furnishings and stone topped benches in galley. 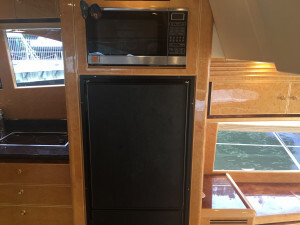 Convection microwave and fidge/freezer with icemaker. 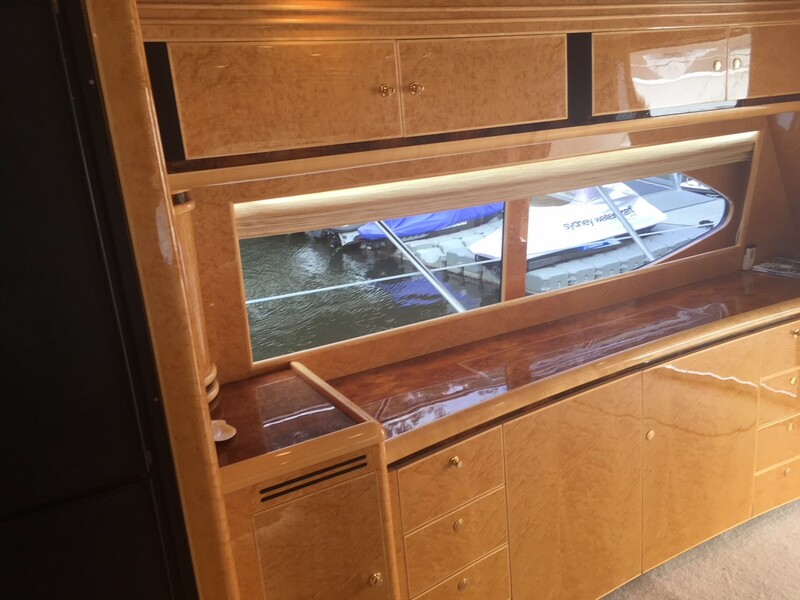 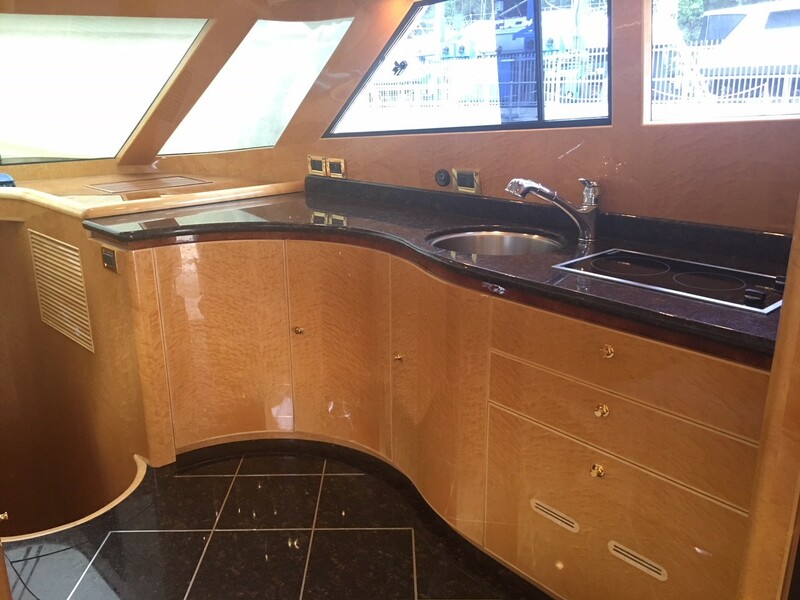 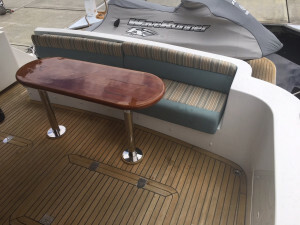 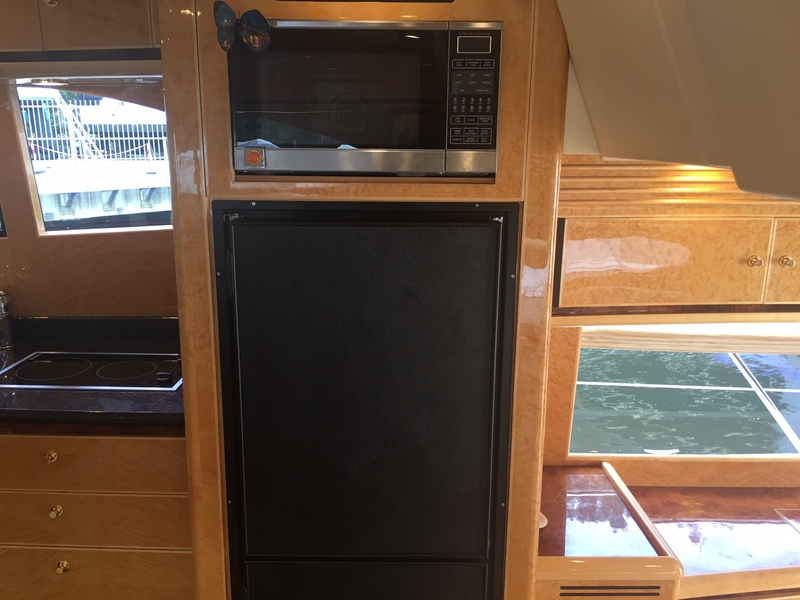 Beer fridge BBQ & sink on flybridge. Stair access to flybridge that seats 12. Upper and lower helms. 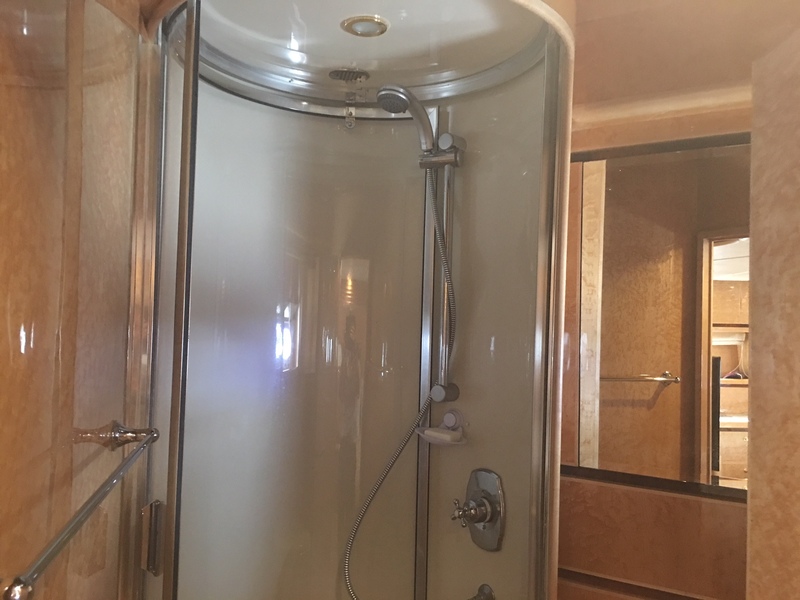 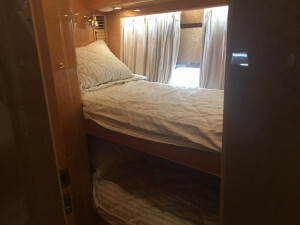 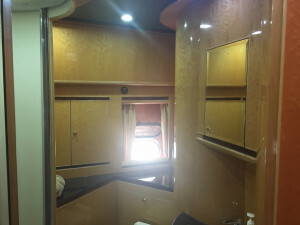 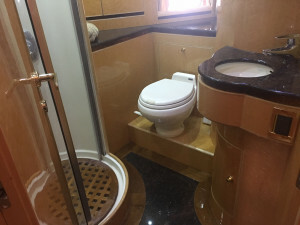 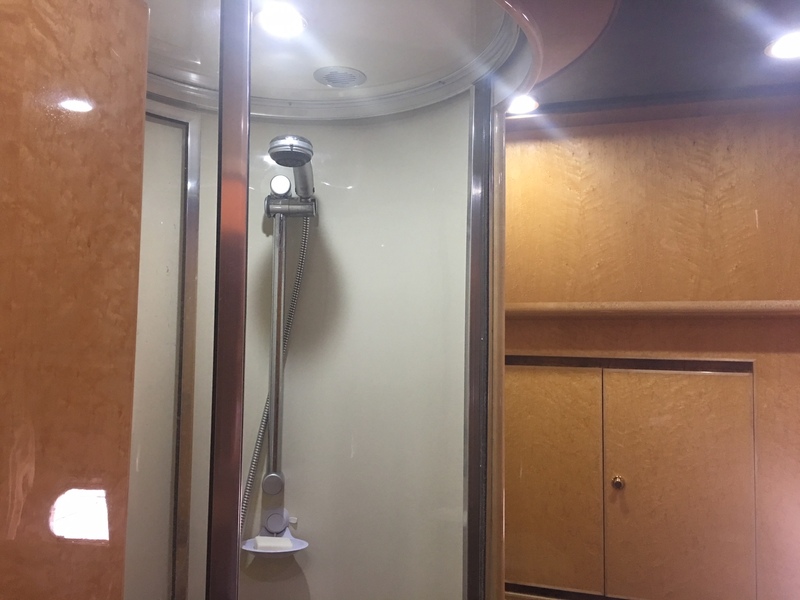 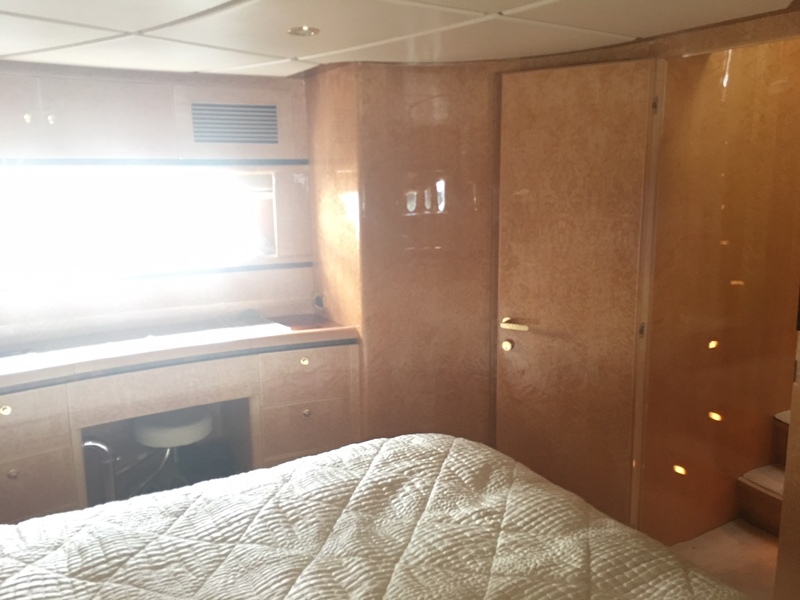 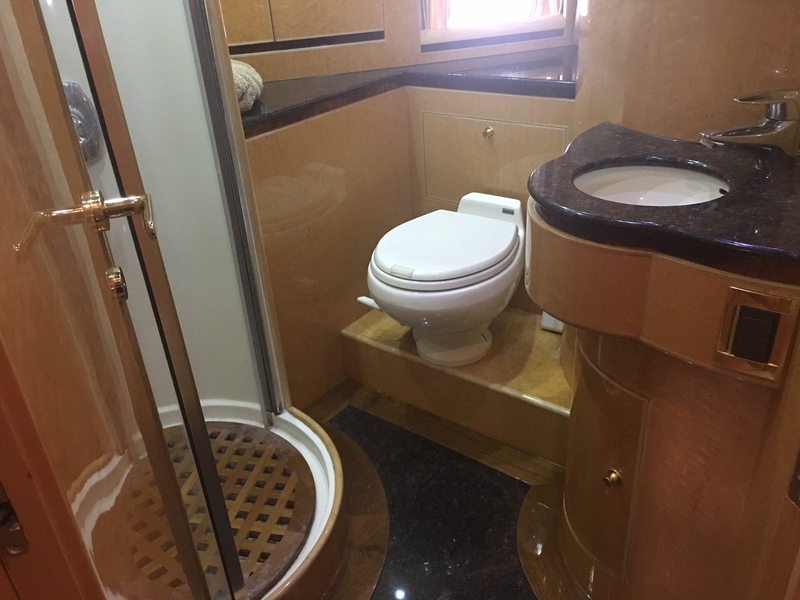 Main stateroom has ensuite,plenty of cupboardspace and opening portholes. 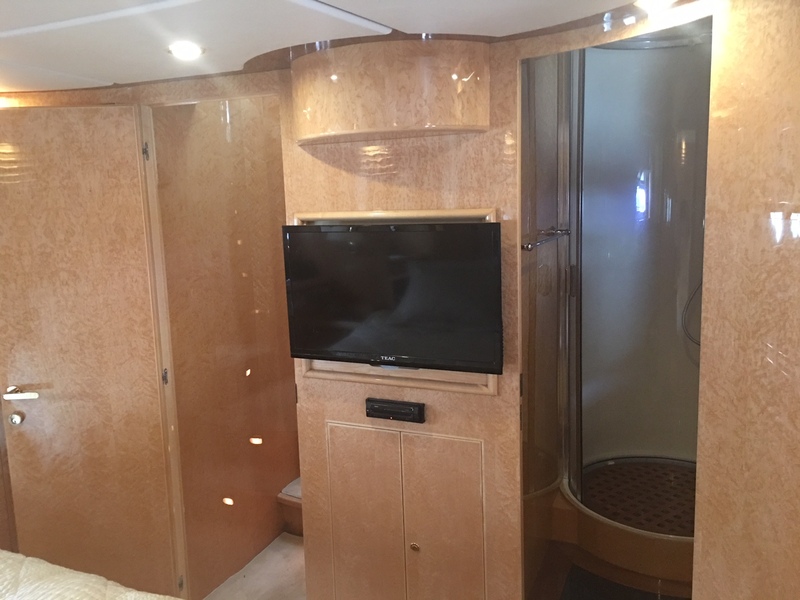 Plenty of entertainment with TV's & DVD's in all cabins. 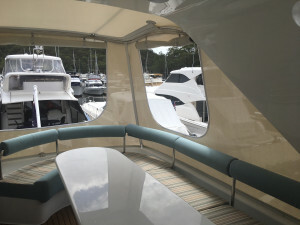 There is a hideaway TV with VAST receiver in saloon, Fusion & Bose sound set up for Foxtel. WiFi and internal phone system. 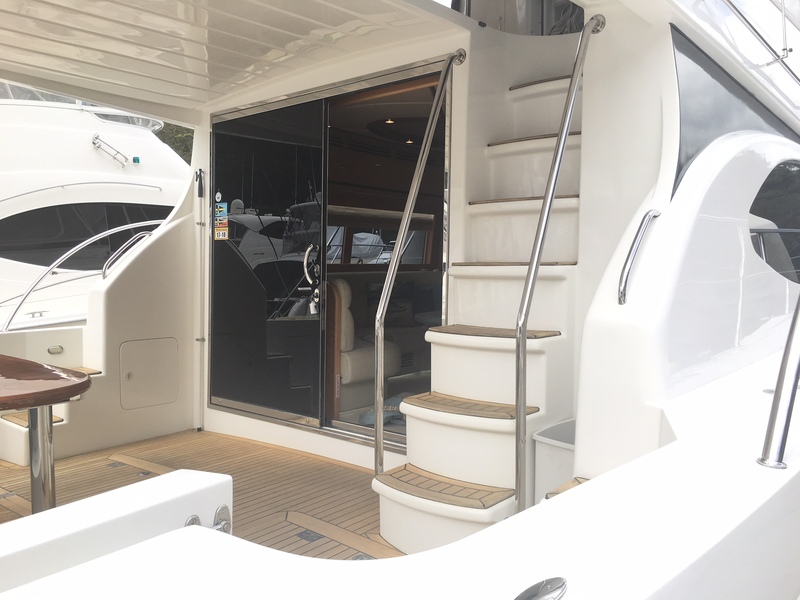 Hydraulic swim platform (SWL 400kg) will carry 3 seater JetSki which is easy to launch (but not inclued). 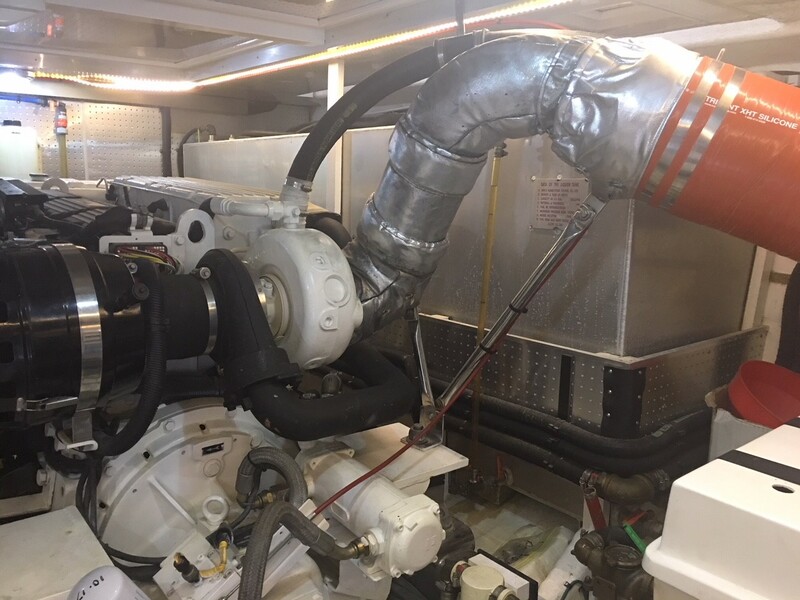 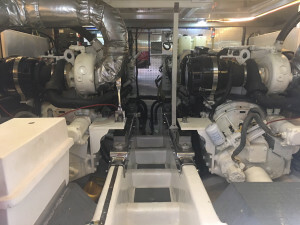 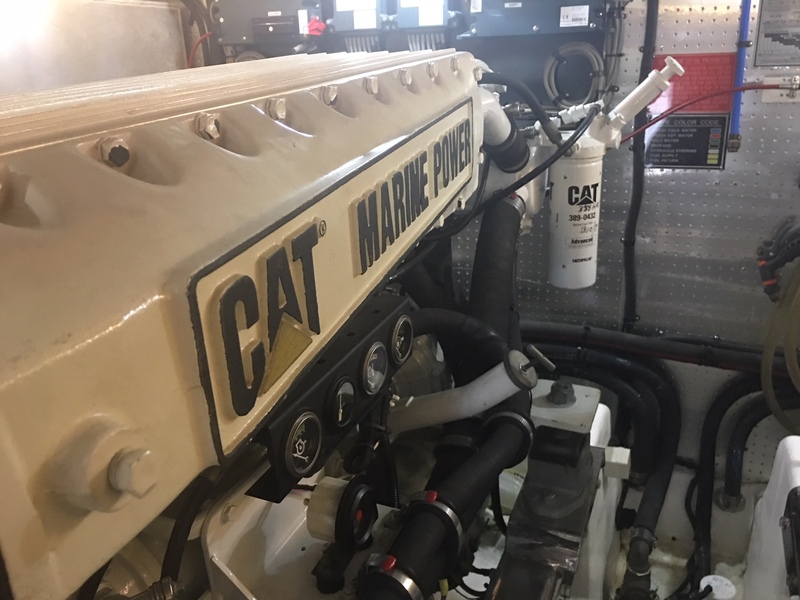 Twin Caterpillar C12 705hp engines, maximum speed 28 knots. 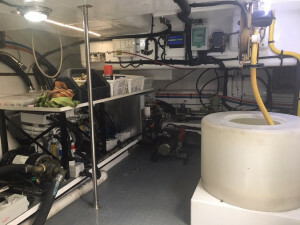 Standing room in very tidy engine bay and spacious lazerette with neatly arranged and easily accessible equipment. 4airconditioners. 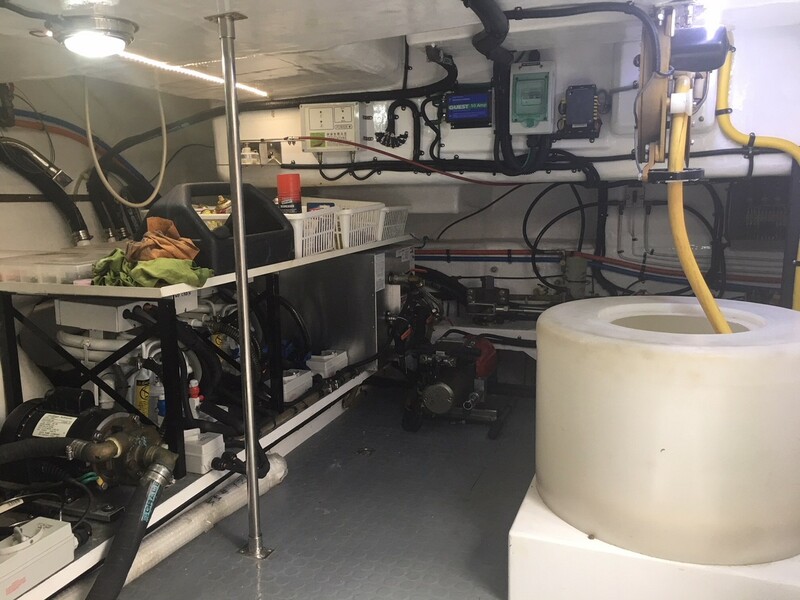 800 litre water tank. Salt water wash system. 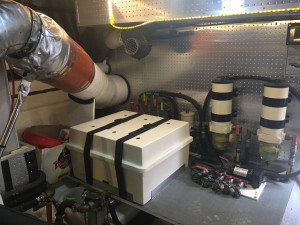 4kW battery power with monitor system. 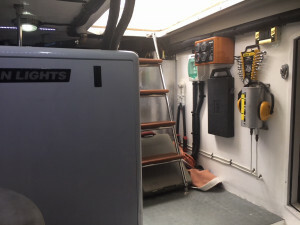 16kW Northern Lights Genset400 hours and very quiet. 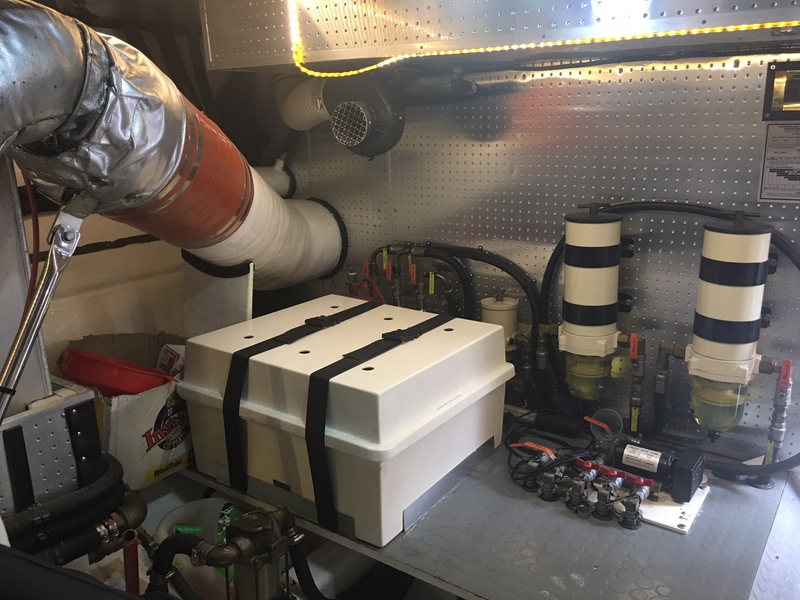 2,600 litre fuel storage which has an extensive fuel management system. 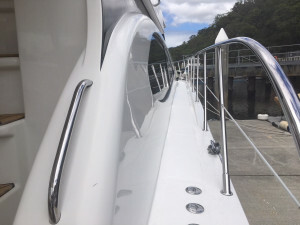 Oversized anchor with plenty of chain and a chain wash system. 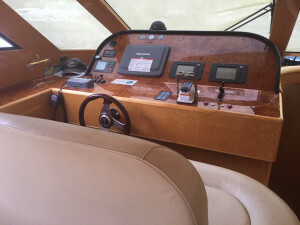 Bow & stern thrusters, rear view camera. 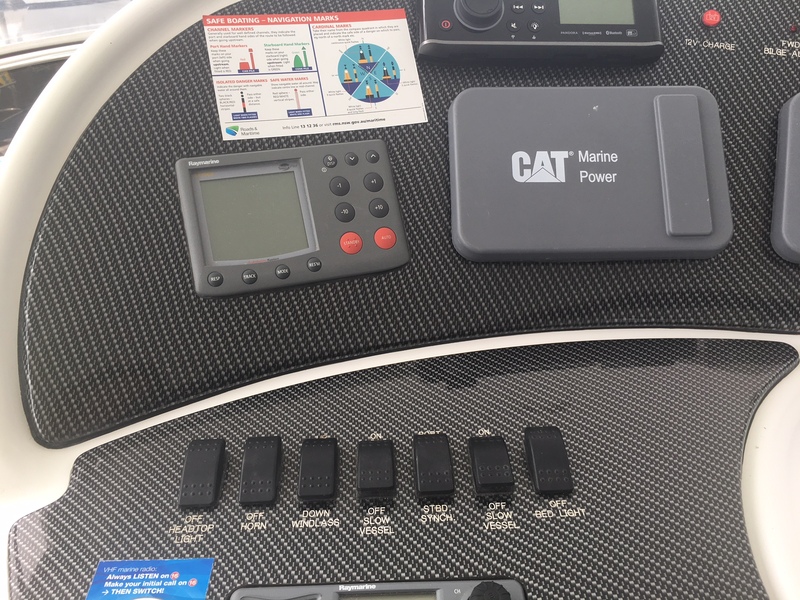 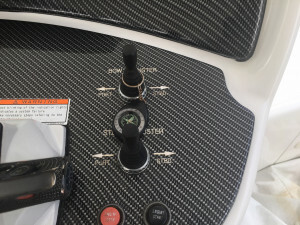 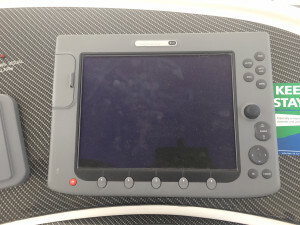 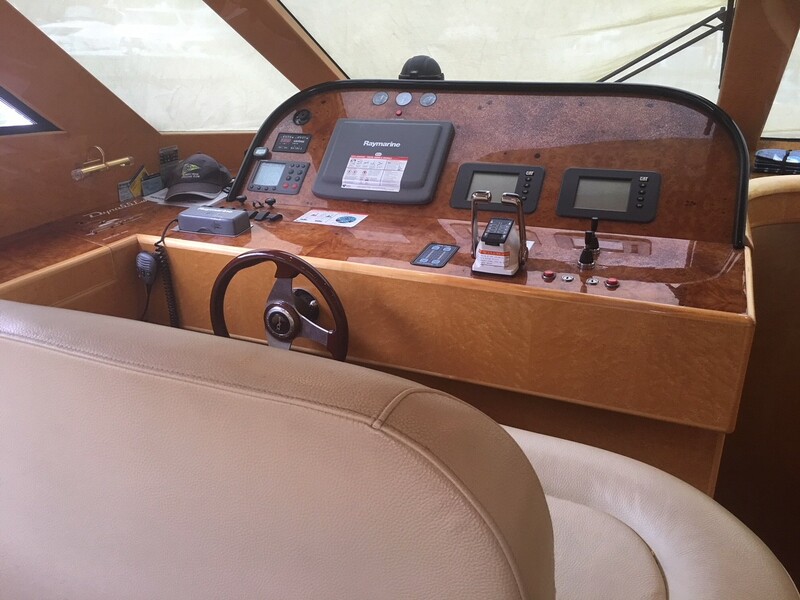 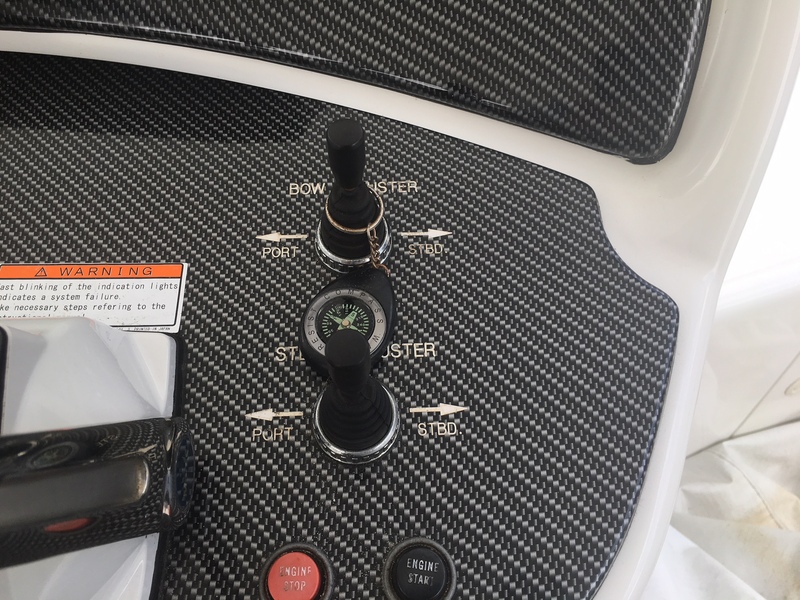 Raymarine E120 navigation system. 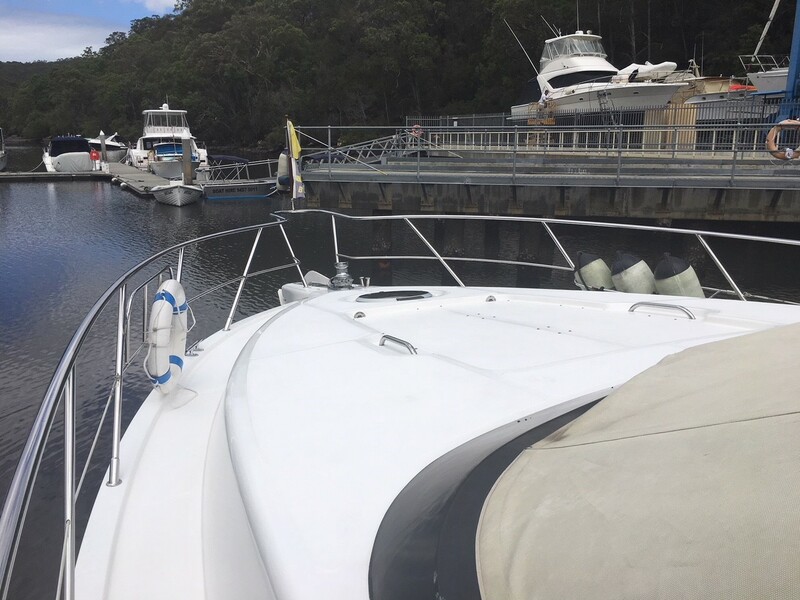 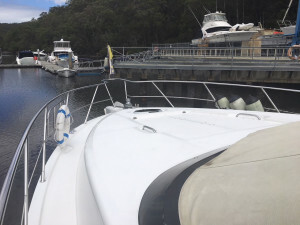 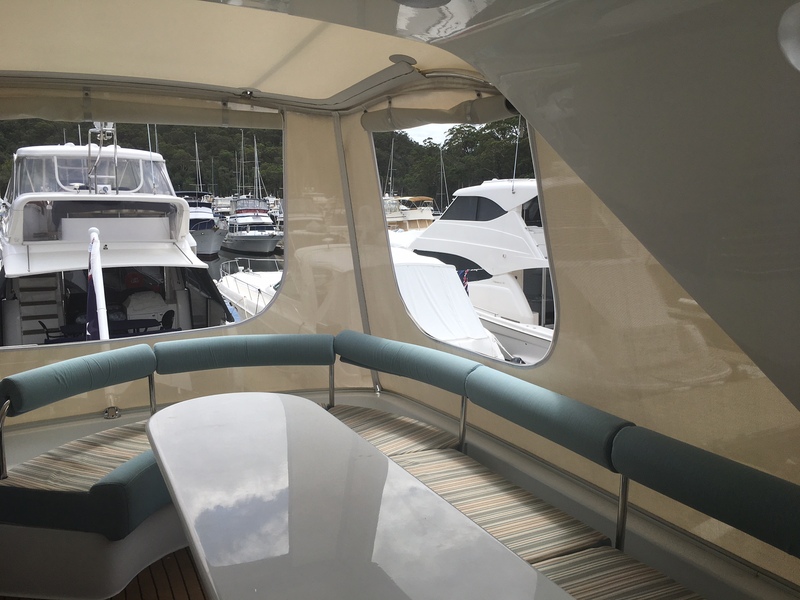 View today at Bobbin Headmarina, call us to arrange.